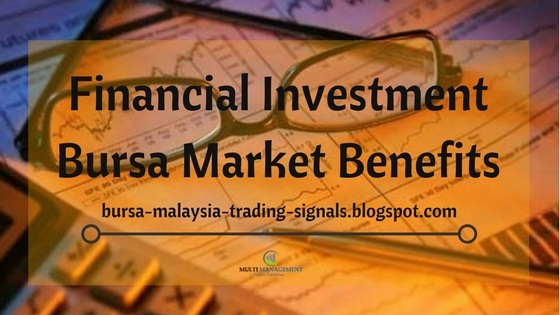 Foreign participation rate was strong, Inflow of funds of around RM10.7 billion into the equity market. Malaysia: The ringgit is surely and steadily on an appreciating bias, thanks to the strong economic fundamentals, with research houses looking at the currency trading up to RM4.10 versus the greenback by the year-end. This optimism followed the ringgit's sharp rebound last week, amid analysts' view that the currency is a laggard playing catch-up with other regional currencies. AmBank Group chief economist Anthony Dass remains "overweight" on the ringgit, putting its fair value at around RM3.95 against the US dollar. "The better-than-expected gross domestic product (GDP) growth for the first and second quarters, the healthy inflow of funds of around RM10.7 billion into the equity market, ease of inflationary pressures as well as improved onshore sentiments on the ringgit show more room to strengthen," Dass told NST Business yesterday. Stability is gradually returning for the currency, BIMB economist Imran Nurginias Ibrahim. External reserves continued to grow, as reflected by the positive contribution from trade flows via the repatriation of exports earnings amid robust export growth. Although the capital flow trend is more subdued now, external reserves continued to grow, as reflected by the positive contribution from trade flows via the repatriation of exports earnings amid robust export growth. The ringgit, which traded at 4.1953 yesterday morning, was last traded at 4.1960 versus Friday's close at 4.1955. Research houses like UOB Bank, in recognising the appreciating bias, will be reviewing the forecasts. Hong Leong Investment Bank expects the bias to be helped by both domestic and external factors. Improving global growth across economies as well as monetary policy will continue to exert weakness in the US dollar while firmer oil prices will boost the ringgit. Domestically, both low foreign holdings in upcoming maturities and higher export proceeds conversion on strong trade surplus are ringgit positive, it said. Downside risks like an outbreak of war or the US Federal Reserve sticking to a rate hike aside, Hong Leong expects 2018 to see the ringgit beginning to trade at RM3.90-RM4.10. Maybank Investment Bank Bhd expects the ringgit to drift to 4.10 level by end of next year. "Our forecasts was for ringgit to be range bound versus the dollar in 4.25-4.30 range up to mid-2018 amid expectations of US monetary policy normalisation and balance sheet reduction being added to fed fund rate hikes," remarked Maybank IB chief economist Suhaimi Ilias. The uncertainty over the timing of 14th general election which must be held by mid-2018 latest is also another factor it has taken account. "It appears the upsides is coming faster than we expected, likely due to prolonged weakness in the dolkar as other fundamentals like sustained trade and current account surplus, building up in external reserves, stabilisation and improvement in crude oil price as well as foreign flows in the bond market have been in place for quite some time already." After being a bit of a laggard, the ringgit may also be playing catch up with other regional currencies that have appreciated more versus the dollar especially the likes of yen, yuan and Singapore dollar. Edward Lee, who is the Asean economist for Standard Chartered Bank, noted the ringgit's attractive valuations, strong growth, relatively light foreign positioning, and improved sentiment and liquidity to support further strength. Any appreciating bias has to also be treated with care said a research house. "This is because any more abrupt strengthening of the ringgit would have a downside risk on exports' earnings and this may compel a possible intervention by the central bank," Lee added.